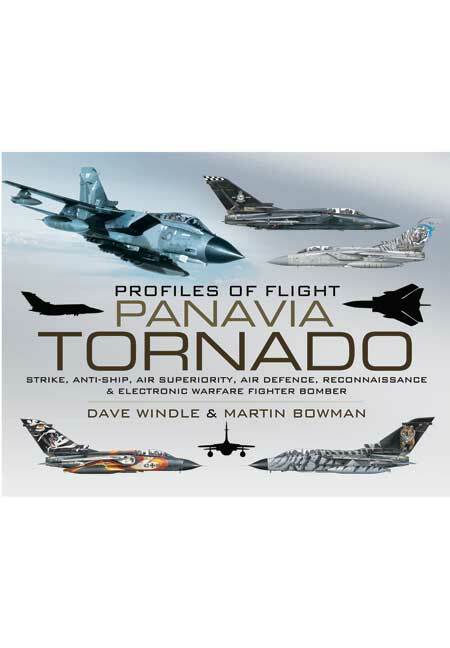 You'll be £15.99 closer to your next £10.00 credit when you purchase Profiles of Flight: Panavia Tornado. What's this? The Tornado has been the backbone of the RAF within its many different theatres of operation. The aircraft started as a European venture between Germany, Italy and the UK, based on the original swing-wing technology invented by Barnes-Wallis. It has also been successfully exported to several Middle-Eastern air forces. It is likely to remain in service for several years to come. Dave Windle has gained the reputation of being Britain's most skilful creator of aircraft profiles. He draws upon his service with the RAF to maintain complete accuracy. Lives near Aberdeen. Martin Bowman is one of Britain's foremost aviation historians and has written many books and articles. He lives in Norwich. It includes a Visual Guide through Profiles. 35 impressive full color profiles of the device in different operating modes, configurations and colour schemes. A useful and interesting book for Aircraft Modellers.